If you thought that the Cloud was only for document-sharing, think again. In recent years, there has been an increase in the focus on wellness and mental health concerns in the workplace. Employee motivation and happiness are key for any successful company however, every business has overarching goals which must be met, and employers often don’t want to compromise on these. Technology has played a key role in the rise of the flexible working movement by helping to providing the solution to meet everyone’s requirements. 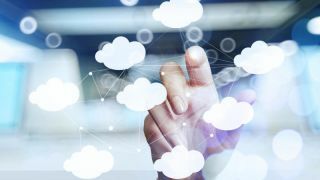 There are now a number of cloud-based solutions, which provide companies with the tools to offer flexible working alongside increasing operational efficiencies. As the gig economy continues to grow in popularity, and employee rights and welfare continue to gain visibility, companies must invest in the right forms of technology which meet the demands of a modern workforce. A vast number of the UK’s crucial industries are reliant on a flexible model to manage their workforce and productivity. Industries including healthcare, hospitality, retail and security rely mainly on shift-based and remote workers and therefore flexibility is a requirement and not just an option. For example, shift work is preferred in healthcare as it provides the flexibility to manage several shifts and a workforce with a variety of different skills. As these industries continue to grow and employ more people, the demand for efficient flexible working schemes also increases. Additionally, transparency in companies’ equality and wellness policies has also accelerated the popularity of flexible working schemes. In a report analysing the modern workforce’s gender pay gap by UK MP Maria Miller, a lack of flexible working opportunities was identified as the main perpetuator of this inequality. Despite this, there are still many industries and companies who are yet to adopt a model which benefits both employer and employee. Famously, last year a data scientist at Facebook left her job after she was denied a flexible working request she made in order to spend time with her new-born baby. The backlash Facebook received should be taken as a caution for other companies to review the flexible working options they provide, regardless of what industry they are in. Not only should the welfare of employees be valued, but businesses should take note that they could potentially get into deep financial problems as a result of not treating employees well. Overworked and tired employees just aren’t productive in the long-run and are less likely to remain in their job, leading to decreased productivity and increased cost of staff recruitment. The widespread adoption of the cloud is just one instance of how new technology, used imaginatively, can encourage real conceptual change about processes and ideas we once thought of as being mundane. To help address these issues and meet the demands for flexibility, businesses have turned to the cloud. Cloud computing was based on the idea of powerful and meaningful interaction regardless of where you are in the world with everyone connected 24/7 and always up-to-date. In a world where more than 80 per cent of small and medium-sized enterprises rely on manual and time-consuming solutions like pen and paper, or at the very least, spreadsheets, the cloud can have a profound effect. Rather than trying to figure out how many staff are needed, spending time notifying them, and devising how best to fill the gaps manually, staff management can be done online and in real-time, thanks to the power of cloud technology. Cloud-based employee management automatically take aspects such as budget and workforce regulations into account, making it easier to keep track of employees and avoid overworked or underpaid workers. A key benefit of the cloud over manual processes such as spreadsheets is that employers don’t have to invest in developing the technology themselves and start from scratch every time a change is needed. As it’s centrally developed, controlled and updated employers and employees simply need to log in and learn how to use it. The ability to instantly update on a central system means all changes that have a financial implication, such as a shift swap or extension, are captured. With a cloud-based infrastructure in place, employers can rest assured that their employees are working flexibly, but also accurately. Various forms of cloud-based solutions provide features which help to create the boundaries and protections implemented in traditional office environments, including features such as real-time messaging, location tracking, geo-fencing and clock-in functionalities. Beyond flexibility, the cloud provides the security and safeguards required in today’s modern working world. Two years ago, the government released a public name and shame list of high-profile companies who were underpaying their employees. This list has been a warning to businesses across the UK to ensure they have the right system in place to provide flexibility alongside crucial security and transparency for worker’s rights. With legal changes around employment law being slow to come into effect, it is up to the employer to ensure that their workers have enough notice of changes to shifts, salary, and holiday. By implementing a cloud-based infrastructure, employers have a reliable and clear platform to enforce this. Traditional methods of management have relied on either one person or a team taking on the responsibility of communicating key policy changes or changes to salary and schedules. This leaves businesses vulnerable to human error. In a report from the TUC, surveyors found that in the last five years, 28 per cent of young workers have had shifts offered to them with less than 24 hours’ notice. Although there will always be a need for last minute changes to be managed, by transferring to the cloud, businesses are reducing the margin for error in shift planning. Employers and employees can utilise a transparent platform to communicate plans (and changes) in good time so that shift workers can plan their work time accordingly and feel their time is respected. In this way, managers can use cloud-based technology to instil a culture of flexibility within their company. Work culture becomes an accessible, dynamic, and adaptable network of employees all working in real time to achieve the best possible results for themselves and the business. Making business data visible to employees allows them to align their personal concerns with the business needs, creating an environment where they have more control over both parts of their life, work and home. New technology has changed every sector without exception and the benefits to be reaped from going cloud-based are numerous. Beyond being a ‘nice-to-have’ perk, an online platform that staff can access anywhere is becoming the norm in businesses of all kinds. Communicating with employees will become increasingly important as flexible working and the gig economy becomes more successful. The Cloud is still the most viable way to achieve this.